The VW driver drove cautiously today, in tough conditions. 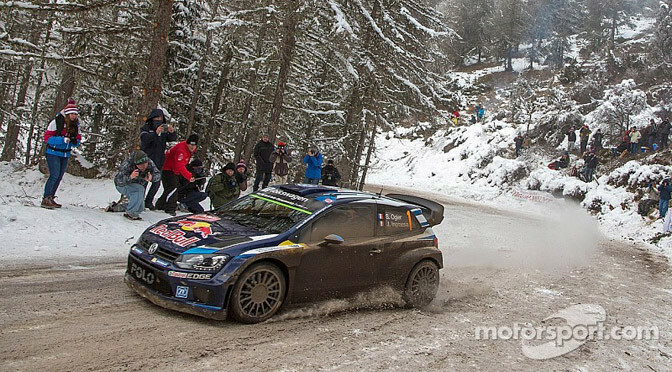 It’s not unusual to see rain, sleet, slush, snow and dry tarmac all in the same stage at Rally Monte Carlo. So, when you start a leg with an almost 2 minute lead, you certainly drive cautiously in those conditions. 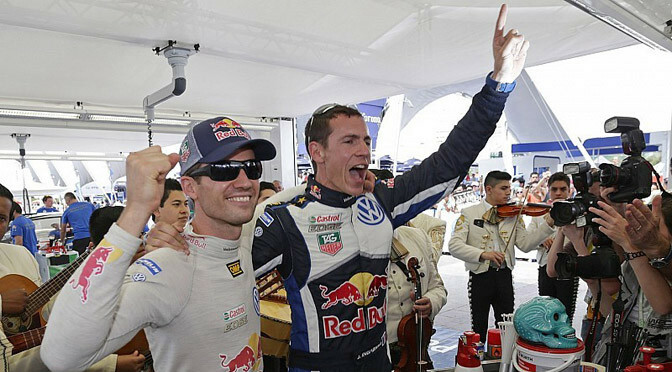 And that is just what reigning champion Sebastien Ogier did, giving up over one minute in an effort to manage the tough conditions over today’s 4 stages. Volkswagen currently holds 1-2-3 in the rally, with Jari-Matti Latvala and Andreas Mikkelsen now 42 seconds and another minute behind respectively. Robert Kubica showed his speed this weekend outright winning the first stage of the day, after the scheduled first stage was cancelled for safety reasons. Early leader and former world champion Sebastien Loeb is 9 minutes adrift from the leaders, struggling with the conditions like much of the rest of the field. “We tried to use the slicks to see how it was. I had to be very careful in the middle bit. 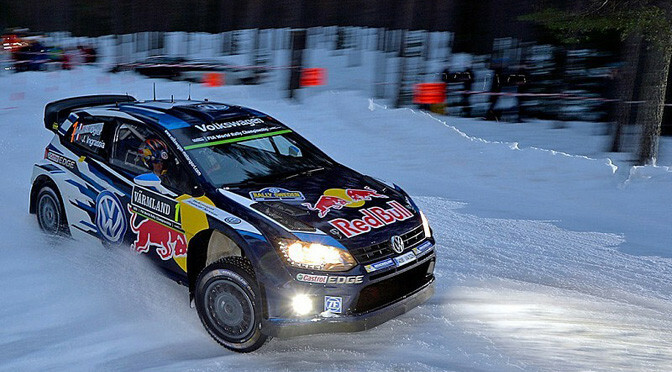 Not my best stage,” Loeb said. Loeb’s teammate, Kris Meeke was fast on the day but his early rally issues have relegated him to the tenth spot overall. 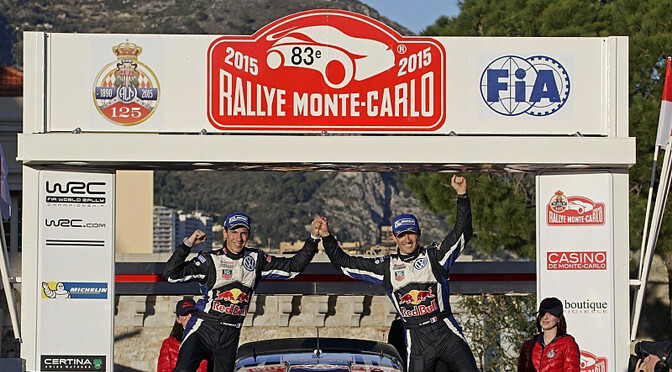 Meeke won the last stage, 8.5 seconds from Robert Kubica. “We tried the crossover combination of 2 studded and 2 super softs. I had a spin and lost 10 or 12 seconds – I could have been faster,” Meeke told WRC.com.